Be sure to check out Connie Schultz's column in The Plain Dealer! Jeff Perrotti is the founding director of the Massachusetts Department of Elementary and Secondary Education's Safe Schools Program for Lesbian, Gay, Bisexual, Transgender, Queer, and Questioning Students. He is the co-author, with Kim Westheimer, of When the Drama Club is not Enough (Beacon Press, 2001), and he facilitated the development of the Massachusetts Department of Elementary and Secondary Education's pioneering Guidance on Gender Identity. He also developed the instructor's materials for the McGraw Hill textbook, Human Sexuality: Diversity in Contemporary America. Jeff has conducted numerous workshops on sexual orientation and gender identity and expression for school administrators, counselors, nurses, coaches, teachers, parents and students. Jeff has assisted many schools and families in orchestrating a thoughtful, comprehensive, and successful process where transgender students have transitioned their gender. 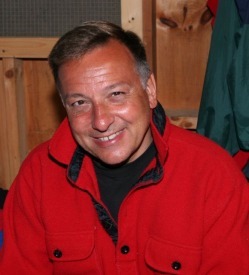 For several years Jeff has taught and advised students at Harvard University. Jeff was featured on Italian Rai International Radio, speaking about Harvard's acclaimed Positive Psychology course, and he has received several awards for excellence in teaching.